Small individual businesses are the life blood of our society. Their unique character and specialisation is what raises your experiences above the bland and anonymous offerings given by the faceless chains of this world. From the small corner shop to the high end manufacturer of bespoke products, and in our case the suppliers we deal with, these people and their passion for their products are what enriches our lives. In this day and age small businesses are constantly under threat from the actions of large multinational companies. The oft reported action of such companies has in recent years caused something of a backlash and increased consumer awareness of their actions can hopefully go towards redressing the unfair playing field on which many small companies find themselves. Here at Naturally Morocco we have always championed doing business in an ethical way and we believe that by supporting these businesses directly we can help to maintain a rich and diverse choice of product for you the end user far removed from the characterless offerings that are in danger of becoming the norm. 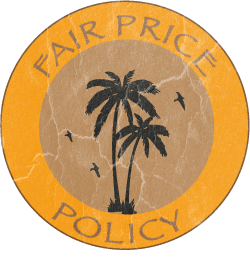 Our fair price policy enables us to work with our customers and suppliers with a clear conscience. We believe that people should be fairly rewarded for the services they supply, be they the owner or employee and to that end we endeavour to work with providers who we believe practice this philosophy through supporting their local community providing employment and backing projects beneficial to their locale. This means the money you spend on your holiday goes where it should in to the pockets of those make your holiday a success and not to boost the profits of a large corporation dedicated to controlling the market and dictating both choices and terms to suppliers and to you the end user. Likewise with our customers, we are here to provide what we hope is a fair and honest service. Through the last 20 years we have built a reputation as a unique provider of bespoke holidays. The ties we have forged over this time enable us to offer a vast range of accommodations and experiences at a fair and competitive price. The structure of our business model means that we do not add any surcharges or commissions and there are no hidden costs to you the consumer. Consumer choice is a vital part of our lives and we believe that it must be defended. By supporting and nurturing small businesses it can only help to enrich our experiences. These are principles that we practice both at home and in our dealings with our Moroccan counterparts and in so doing hope to preserve the unique qualities that only a small personally run company can provide.